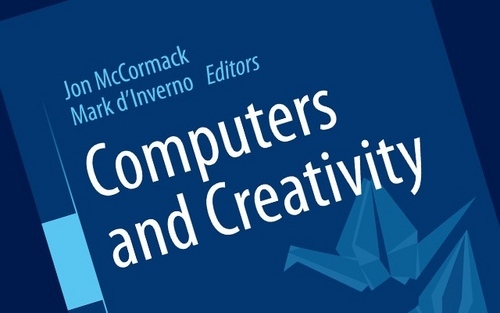 I have recently contributed a chapter to a Springer textbook on Computers and Creativity. Edited by Jon McCormack and Mark d'Inverno, it's a great collection of essays which emerged from a Dagstuhl seminar on computational creativity and the surrounding issues: can algorithmic systems be said to be creative? What systems can we use to evaluate creative practice - or is a "fitness function" even possible for aesthetic values? How are computing and simulation altering our philosophies of creativity? My contribution, co-authored with Mark d'Inverno and Andrew R. Brown, sidesteps ideas of autonomous creative systems to instead focus on how we can extend our own innate creative practice using generative algorithms, particularly in the domain of music making. It attempts to delineate several ways in which we can use algorithmic tools to alter or reroute innate creativity - by suggesting new routes, enforcing constraints, or imposing new aesthetic directions. The chapter builds extensively on Clark and Chalmers' concept of the Extended Mind, which proposes that cognitive processes can take place outside of our physical brains; for example, when we are writing notes to remember later, or shuffling tiles on a Scrabble board to jog ideas of words to play. In homage to Clark and Chalmers, it is titled The Extended Composer. This chapter focuses on interactive tools for musical composition which, through computational means, have some degree of autonomy in the creative process. This can engender two distinct benefits: extending our practice through new capabilities or trajectories, and reflecting our existing behaviour, thereby disrupting habits or tropes that are acquired over time. We examine these human-computer partnerships from a number of perspectives, providing a series of taxonomies based on a systems behavioural properties, and discuss the benefits and risks that such creative interactions can provoke. It's sadly an expensive publication and only viable to most through a University library subscription. For general readers, available here is a pre-print PDF of the The Extended Composer. Please note that this document is intended for research purposes only.